Captain Beefheart, often also known by his real name of Don Van Vliet is/was one of the greatest idiosyncratic figures in modern Californian music. Trying to typecast him is a damn nigh impossible task – like his compilation says - A Carrot is as Close as a Rabbit Gets to a Diamond. He’s got the blues of course; he rocks it off kilter. He is steeped in jazz and even the wildest folk -and always R&B. He is definitely an experiment in the making and starts out where psychedelia massages the avant-garde. We have a superb selection of his 1970s works where you find Beefheart approaching commercial acceptance without really trying to milk the music biz teat too hard. This enigmatic character may not have sold in the zillions but he sold enough. He was also a prolific and gifted painter whose expressionist canvases were exhibited in the most prestigious galleries. His influence on eccentric music is unrivalled because perhaps even more than near contemporaries Frank Zappa and the Mothers of Invention he allowed his followers just enough space to attempt emulation. Van Vliet was born in Glendale, California in 1941 (he passed away in Arcata, California in 2010 aged 69) and spent his latter teenage years collaborating and competing with his friend Frank Zappa. The pair dreamt up the Captain Beefheart persona in 1964 and Don soon hooked up with local act the Magic Band, formed by the splendidly named Alexis Snouffer. The project soon became Beefheart’s baby however and the Magic Band operated between the margins – bordered by Ry Cooder’s Rising Sons and Little Feat and the Mothers’ more free form approach. Signed and dropped to two labels in short order the ensemble released a succession of albums that were deemed too odd for the times but are now rightly considered to be classics: Safe as Milk, Trout Mask Replica and Lick My Decals Off, Baby. The Beatles were staunch champions of these import only discs and wanted to sign him to their Zapple imprint alongside Harry Nilsson. Didn’t happen. More bad luck: Beefheart was scheduled to play the Monterey Pop Festival in 1967, which might have assisted his passage towards the fringes of mainstream but his hallucinatory lifestyle pre-empted that and The Monkees took his spot! His return to relative normality coincided with the brilliant Safe as Milk LP, which did well enough to finance a trip to Europe where dates were accomplished and Don struck up a useful relationship with DJ John Peel,who played his records to the nation on a nightly basis. We pick up the Cap’n as he follows up Clear Spot with Unconditionally Guaranteed (1974) and find that the Magic Band has now settled down for the time being. Zoot Horn Rollo is on guitar, as is Alex St. Clair; Art Tripp traps the drums, Rockette Mortron slaps bass and there are horns and Beefheart’s bluesy harmonica to bolster his gruff yet surprisingly technically accurate octave swooping range. Wouldn’t you know it? The album was criticised for being too commercial (like the band were going to live off fresh air?) but close acquaintance reveals a plethora of fabulous tracks from ‘Upon the My-O-My’ to ‘New Electric Rude’ and ‘Peaches’. Bluejeans and Moonbeams follows in short order though with an entirely different line-up, including Dean Smith, Ira Ingber and Bob West (the previous Magic Band hombres quit on the grounds of general brokenness and then formed Mallard). Once again critics were snooty but in later years folks like Kate Bush, White Stripes and John Lydon have insisted they were wrong. Call the results easy uneasy listening. ‘Party of Special Things To Do’ and a cover of J.J. Cale’s ‘Same Old Blues’ kick us into the ether and we don’t come down until we’ve passed through swamps and the outer space of ‘Twist ah Luck’. Following a hiatus in which Beefheart and Zappa made the magnificent Bongo Fury the good Captain suddenly finds the press back onside when he releases Shiny Beast (Bat Chain Puller) and for once he actively promoted his work without feeling the need to shed too much light on the likes of ‘Harry Irene’ or the insane ‘When I see Mommy I Fell Like a Mummy’. Here, Beefheart’s free verse rapping style combines with a vocal delivery that might be compared to Tom Waits. The backing is crisp and structured and the new players wring out excellent performances with Bruce Fowler’s trombone nuzzling against Van Vliet’s return to soprano sax. The whole thing is rhythmically brilliant and angular. Some rate this as his best album, but comparisons are odious. On a roll now, Beefheart made the cover of many a music publication to celebrate the arrival of Doc at the Radar Station (1980) and finally the world caught up with his deliciously arcane music. Imagine what songs called ‘Run Paint Run Run’ or ‘Best Batch Yet’ sound like! Super duper of course! The arrival of John French and Gary Lucas on duelling guitars added a genuine modernist edge to Beefheart’s live playing and those of us lucky to have seen him at the time can vouch for the fact that this is one of the most out-there bands on the planet. Ice Cream for Crow is the last studio album DVV made before he retired to his studio – the one with the easels and paints – and it’s fitting that Don took control himself on a selection of tracks short and sweet. Peppered with references to jazzy bebop masters the album is also Beefheart at his most cinematic. ‘Semi-Multicoloured Caucasian’ and ‘The Past Sure is Tense’ are amongst his most playful tunes and the band skip across work-outs like ‘Cardboard Cutout Sundown’ and ‘Ink Mathematics’ with a groovy funky abandon you rarely hear in conventional rock. Our offering is completed by the terrific Live – London ’74 set, recorded at the Theatre Royal, Drury Lane where you can hear Beefheart's Magic Band Mk4 working their spell on ‘New Electric Ride’, ‘Abba Zaba’ and nine other beauties and that’s as close as any of us will ever get to seeing the man in the flesh for now. For once the phrase, an extraordinary body of work, is entirely accurate. The day God made Don Van Vliet, he broke the mould. Unconditionally recommended. Guaranteed satisfaction. 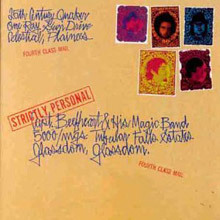 Strictly Personal is the second album by Captain Beefheart and his Magic Band. It was originally released in October 1968, almost a year after the band had initially taken to the studio to record the follow-up to 1967's Safe as Milk. The finished album has been the subject of controversy owing to producer Bob Krasnow's addition of phasing to many of the tracks, which Beefheart initially supported, but subsequently claimed was done without his knowledge or approval. 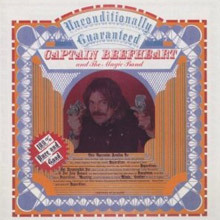 Unconditionally Guaranteed is the eighth LP by Captain Beefheart and the Magic Band, originally released in 1974. It was recorded at Hollywood Sound, Los Angeles. 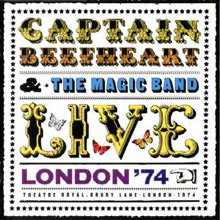 Upon release it was criticised for being too commercial; even so, it failed to give Beefheart any real chart success, peaking at #192 on the Billboard Top 200. 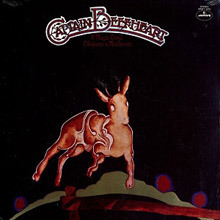 Bluejeans & Moonbeams is the ninth LP by Captain Beefheart and the Magic Band, originally released in 1974. Despite its uncharacteristically mainstream sound the album failed to chart. Most observers consider it to be one of the Captain's weakest works, leading fans to christen the line-up of the period the 'Tragic Band'. The album does, however, have its influence: an early White Stripes EP entitled Party of Special Things to Do (2001) contains three Beefheart covers, including this album's opening track. Kate Bush in a Smash Hits interview considered this one of her top ten Albums. 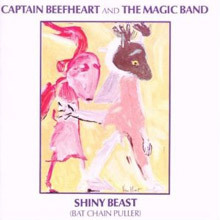 Shiny Beast (Bat Chain Puller) is the tenth studio album by Captain Beefheart and the Magic Band. 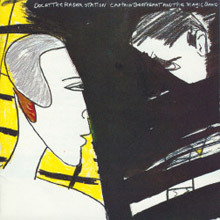 Released in 1978, the album was produced by Captain Beefheart and Pete Johnson and released by Warner Bros. Records. 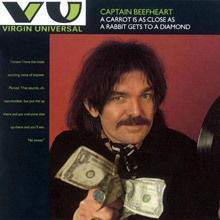 Shiny Beast emerged from the production difficulties surrounding Bat Chain Puller, an album Captain Beefheart recorded for DiscReet and Virgin Records in 1976. DiscReet cofounders Herb Cohen and Frank Zappa feuded over the production of the album, because Cohen funded the production with Zappa's royalty checks. Captain Beefheart recorded a new album, Shiny Beast (Bat Chain Puller), due to Zappa withholding the master tapes of the original Bat Chain Puller album. Shiny Beast was praised by music critics. Although about half of the album's songs are based on old musical ideas, Mike Barnes states that "most of the revamping work built on skeletal ideas and fragments that would have mouldered away in the vaults had they not been exhumed and transformed into full-blown, totally convincing new material. 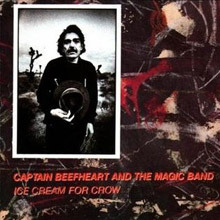 Ice Cream for Crow is the twelfth and final studio album by Captain Beefheart and the Magic Band, released in September 1982. It is the last Don Van Vliet recorded before abruptly retiring from music to devote himself to a career as a painter. This career retrospective is noteworthy for a few reasons. It concentrates exclusively on Beefheart's work for Virgin -- Unconditionally Guaranteed, Blue Jeans and Moonbeams, Shiny Beast (Bat Chain Puller), Doc at the Rader Station, Ice Cream for Crow, and the Light Reflected Off the Oceans of the Moon EP -- so it may interest people who already own Trout Mask Replica and want to get only one more Beefheart album, as well as those who have difficulty finding his aforementioned Virgin releases. Also, the compilation intersperses brief snatches of Beefheart's songs in between the 18 complete songs on this album -- mostly spoken word excerpts from "Apes Ma," "Hey Garland, I Dig Your Tweed Coat," "Cardboard Cutout Sundown," ""8!" Poop Hatch," "Making Love to a Vampire with a Monkey on My Knee," "Party of Special Things to Do," and "Flavor Bud Living." This appears to be an unsuccessful attempt to make this compilation seem more like a cohesive album by recreating the informal ambience of Trout Mask Replica; most people will probably find it annoying, but some may enjoy it. Otherwise the album contains numerous good songs but omits some of Beefheart's best material from his Virgin period, such as "Ashtray Heart" and "Hot Head."